At one of the beaches south of Katwijk. It's practically deserted, vast and absolutely clean. Ships in the distance. Generally overcast but the sun pops through now and then. Not so windy as yesterday. A police car drives along the sand. 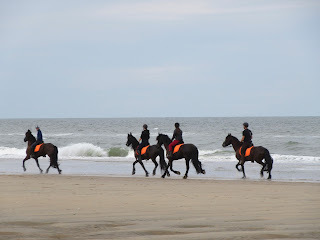 Here come a bunch of horses down the hill to the beach. 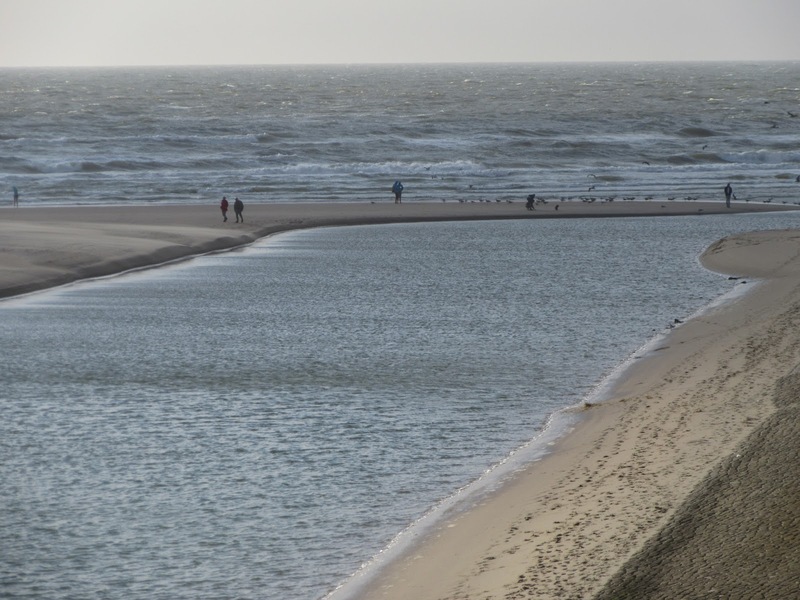 The flats between the dunes and shore are dotted with ponds. 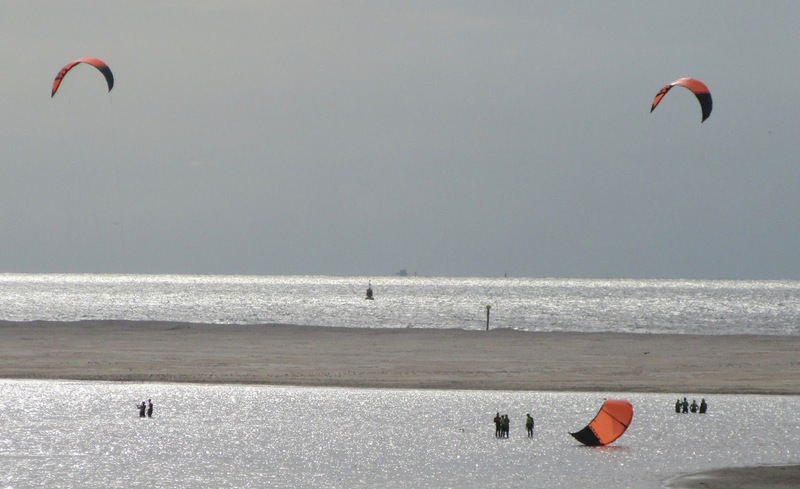 I can see the bungee tower of Scheveningen in the distance. 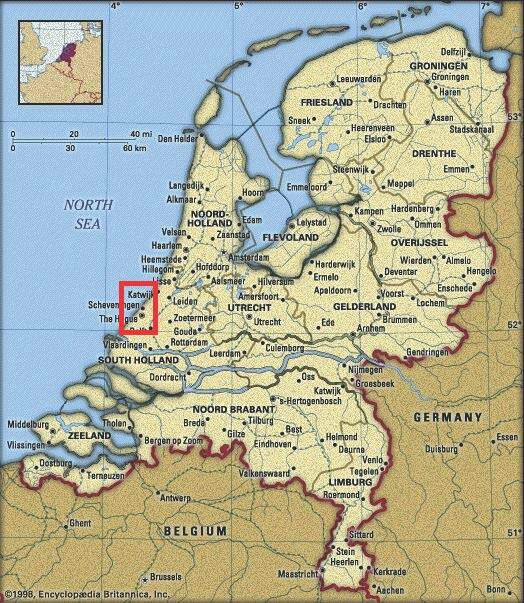 Spent the night in Katwijk at Nel & Fritz Reseum's place, an utterly typical middle-class home. Fritz was scarce. "Doesn't like the company," said Nel, a big-bosomed woman with dyed 'do and a bit of a complainer. "People think we're a cheap hotel." 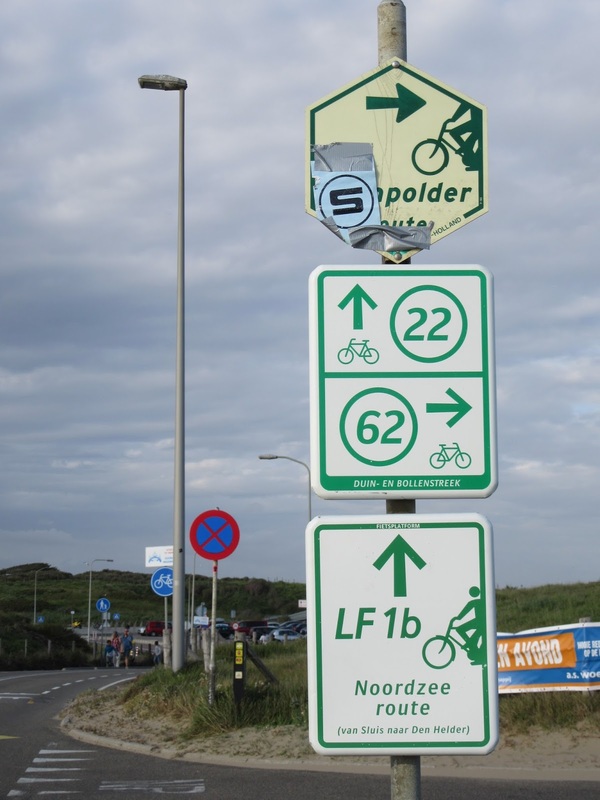 Finding dinner in Katwijk was a struggle. The one homey joint on the square shut by 9, the ones along the beach unappealing and overpriced. Ended up with a Turkse pizza and beer at "Cairo." A festival tent set up on the beach, loud rock band wailing Springsteen and Police. Pumped-up giant Dutch people gathering. Superb spot for a break up in the dunes forest, a rude bench built around a sapling. The trails are busy on this gentle Saturday, clouds passing, breezy, sun now and then beaming through. Occasional sprinkles. Toward kp 41, the trail climbs into the dunes forest, at points above the trees. Racers, families, couples carefree cycling. This is a very fine stretch of the LF-1. 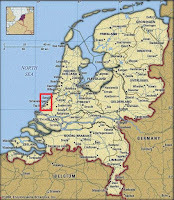 It's not far to Wassenaar, which I investigated for my Den Haag coast article. On the way to Scheveningen I went through Meijendel forest, beautiful. 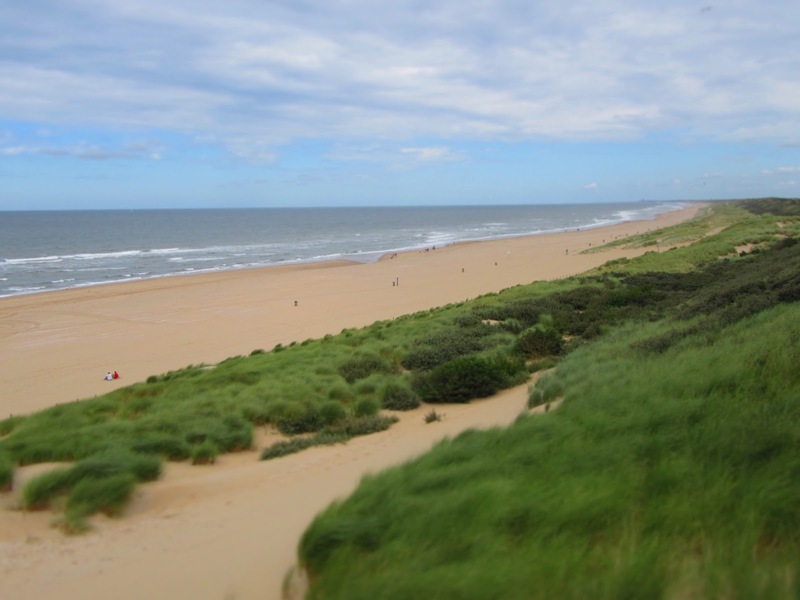 Roller-coaster ride through pine forest, vistas of the dunes. 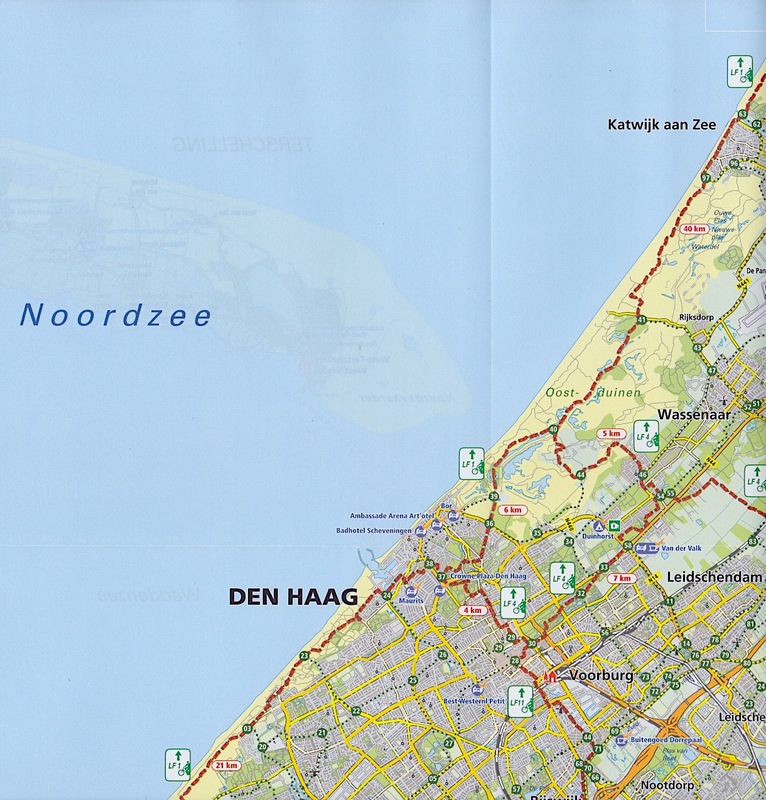 Just outside Den Haag, I reach a turnoff for the strand, a 0.2 km hike up and over the dunes. There's no one on the beach today but the cafe there seems inviting. A bit further stands the iconic water tower which I last encountered in late May. Then it was hot and sunny, today overcast and cool. Following the LF-1, I cut through a Scheveningen neighborhood, then enter a city park. On my left an amphitheater-style pavilion, like the Benito Juárez monument in Mexico City's Alameda. It overlooks a little lake and the busy roadway up above the bank. It is such an appealing spot that I stop for a hummus sandwich and a cup of wine. 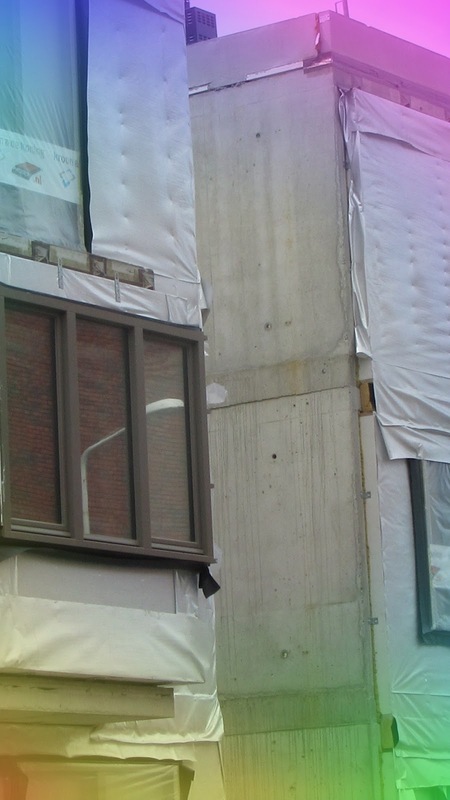 This being the city, it seems derelict–shards of a broken liquor bottle and cigarette butts scattered around the brick platform. As if on cue, a pair of youths turn up on their bikes and after offering me a cursory greeting, retreat to the apse bit, presumably to smoke a joint. One, a smiley mulatto boy in a baseball cap, cannot be over 14. 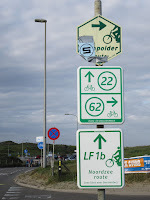 In Scheveningen I returned to the inner harbor with all the posh seafood restaurants, then was detoured off the LF-1 through new housing development. 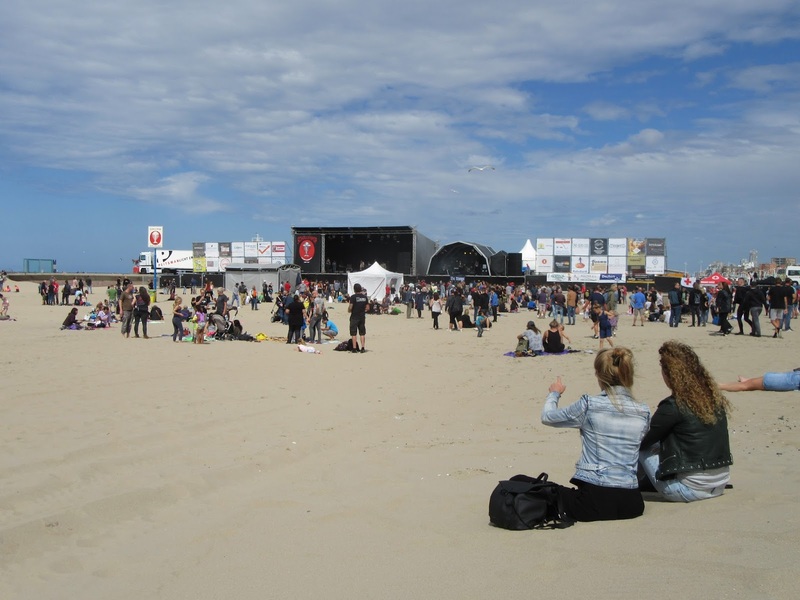 I ended up at the Strand theater, near which a big beach music festival was going on, Schollenpop. The stages set up just south of the outer harbor, rawk 'n' roll, food stands, munten (special festival coins you need to buy to purchase food and beer). A nice idea and people were pouring in for the event. Clever that they had ticketed bicycle parking, as always a wise alternative to motor vehicles. I continued west and entered Westduinpark. Similar rolling ride through dunes, many flowers popping out of trailside foliage. Stopped at the strand at Pole 8, with a single cafe. Lovely, powdery sand. More seagulls than people, as it is still cool with occasional blasts of sun. Nice to share the space with the gulls, 200-300 of them resting on the sand in front of me. Mostly of the brown-speckled variety, but also grey-winged species with orange spotted beak. On the south side of Westduinpark is Kijkduin, as I remembered it a family holiday spot, now full of people, a carousel, lots of kids. 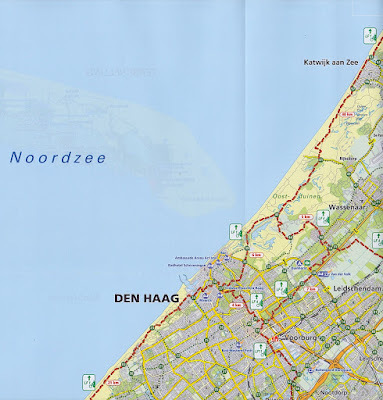 I continued south, not along the LF-1 (kp 3 ->6 ->9) but a parallel 'scenic route' to Ter Heijde, which fringes the beach. This long straight broad fietspad goes right past the lake formed by the Zandmotor ('sand engine,' an artificially generated sand bank), where about a half dozen kitesurfers were practicing.